Sustainability with regards to the ecological aspect is essentially defined as the “ability to sustain our way of living in our environment”. This principle explains that our basic survival is either directly or indirectly dependent on our natural surroundings. Applying sustainable development on a daily basis is important because it ensures that the welfare of the environment is given its due attention. Practicing the three R’s of waste management (reduce, reuse and recycle) serves as a good reference point when implementing sustainable efforts that can be done daily and begin at home. Things like saving on water and electricity use, buying products that are safe on the environment and recycling waste can lead to a well-maintained approach for sustainable development. Simple choices on changing certain habits is also an effective way for pro-green living. When buying building materials for instance, looking out for products that are environment-friendly would benefit not only the home but the community as a whole. Knowing the difference between a company that has jumped on the sustainable bandwagon, and one that truly works to better their organization and processes to reduce their carbon footprint can be a challenge. Certain building products are sustainable simply by the very nature, and help you be more sustainable and efficient in your life. EPS insulation (Expanded Polystyrene) is one example of a sustainable product that easily helps you be more sustainable in your day to day life. Additionally, some companies work to continually improve themselves through environmental reporting and internal controls. Look for commitments to sustainability from companies or products when researching your building or remodeling solutions. Access to the internet offers a wealth of information on doing some research on how to preserve sustainability on a day-to-day basis. Aside from the different ways that can be applied for Green Living, the latest trends and topics can also be found. The advent of social media can also help share ideas on sustainability. In summary, applying sustainability methods as part of our daily activity is a doable goal as its importance is focused on the well-being of the environment. Though it may require some adjustment on changing some aspects on the way we live due to old habits we’ve grown accustomed to doing, the positive impact it provides affects not only today’s world but on future generations as well. 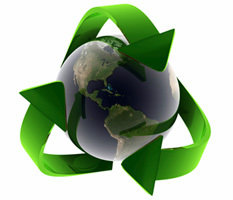 To learn about EPS, it’s sustainability, and what companies do to plan for the future and reduce their carbon footprint, visit www.pfbsustainability.com.